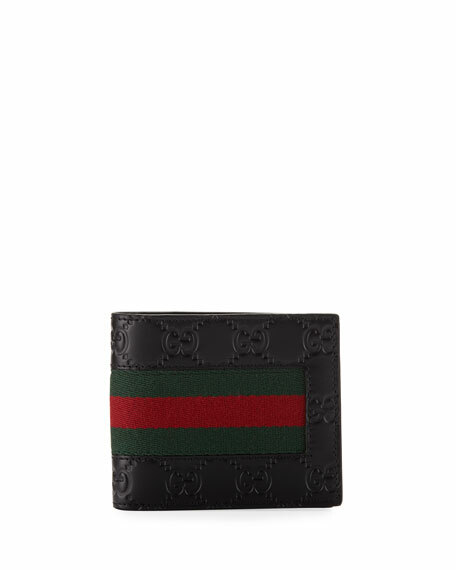 Gucci bi-fold wallet in GG leather with signature web detail. Dark brown leather; green/red/green web. Eight card slots, two receipt pockets, and two bill slots. For in-store inquiries, use sku #2407741. 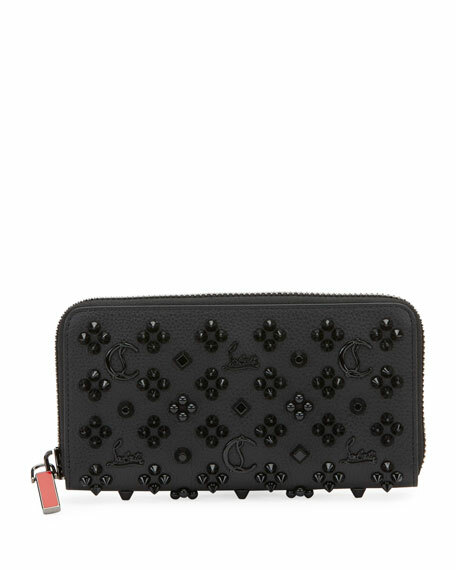 Christian Louboutin "Boudoir" leather wallet. Detachable chain shoulder strap, 22.3" drop. Flap top with logo stud. Inside, signature red lining. 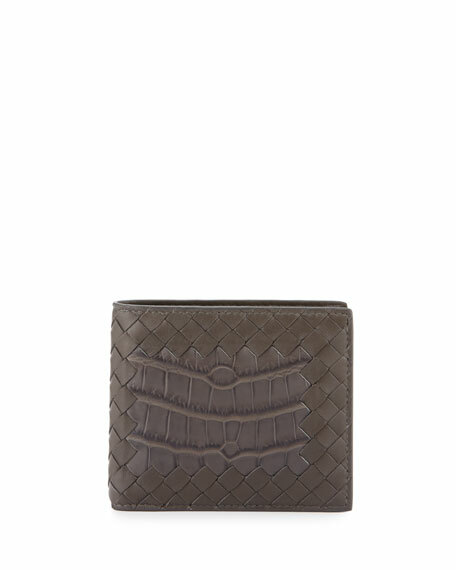 Zip and slip compartments. 4.3"H x 7.3"W x 0.8"D. Weighs approx. 9 oz. Made in Italy.